Since I announced my campaign for the Board of Trustees last month, one question has repeatedly cropped up: will I be able to continue my pursuit of public records if I’m elected to the board? The answer is, yes, I absolutely will. And nothing will change that. Since 2012, I have sought records in the hands of Pennsylvania public agencies, not Penn State (PSU is not subject to the Right-to-Know Law). Nothing prohibits a trustee or anyone else from exercising their right to access public records. I have no control over whether the university administration will intervene in any court appeal. And even if it does, it cannot stop me from doing what the law permits the average citizen to do. So why will I be more effective on the board than off it? First, the most valuable information for understanding what went on behind the scenes of the Freeh investigation is in the hands of Louis J. Freeh. State law gives trustees the right to that information, but it will likely take a court order to obtain it. Nobody has demonstrated a greater commitment to pursuing information than I have, and you can be assured that as a trustee I will do everything possible to obtain information that the administration is obligated to provide. Second, nobody is more passionate about transparency than I am. The board continues to lack a strong advocate for transparency. Board and committee discussions don’t have to be held behind closed doors. Conflict of interest disclosures should not remain secret. Nobody will provide a louder voice in opposition to secrecy than I will. 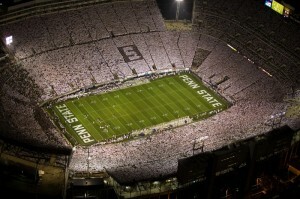 Last year, I restored the public’s right to obtain public information about Penn State. Today, I’m continuing the fight for the information we demand. But I can’t do everything from the outside looking in. I need your help to finish the job. Please support my campaign for the Board of Trustees.